Euphorbia is a genus of plants in the Euphorbiaceae family. It contains at least 2,100 species. Succulent euphorbias are most diverse in southern and eastern Africa and Madagascar, but they also occur in tropical Asia and the Americas. 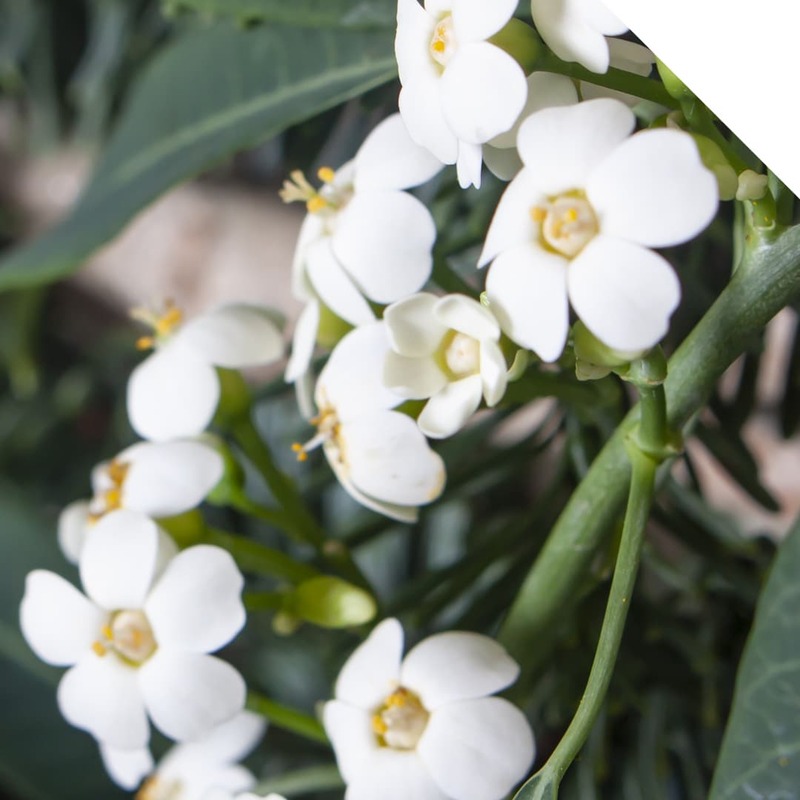 Euphorbia became the offical name in 1753, but the name, goes much farther back in history. The Roman officer Pliny the Eldery named the plant after the physician of the Mauritanian king Juna II, who was treated with this plant with medicinal properties. The Dutch name for Euphorbia is “Wolfsmelk” (Wolvesmilk). Milk refers to the poisonous, milky, white, latex-like sap that the stems of the flower contains, and wolf refers to the devil, who is seen as the perpetrator of the poisonous sap in the flower. Euphorbia stands for purification and protection. In the middle ages when people were afraid that witches would enter their homes, they would drink the sap of Euphorbia and rub it on their children’s chests. This in the hope that they would be protected. Euphorbia has a very distinctive way of flowering. It is available in yellow, orange, red, pink and white and available from September till January. Euphorbia is a typical Fall flower and goes great together with Roses. Mix them together in a bouquet or centerpiece and you will be amazed. The white variety looks stunning in combination with Dianthus Barbatus Green Trick and Phlox. Because of the unique shape and wide color palette it is a true eye-catcher. 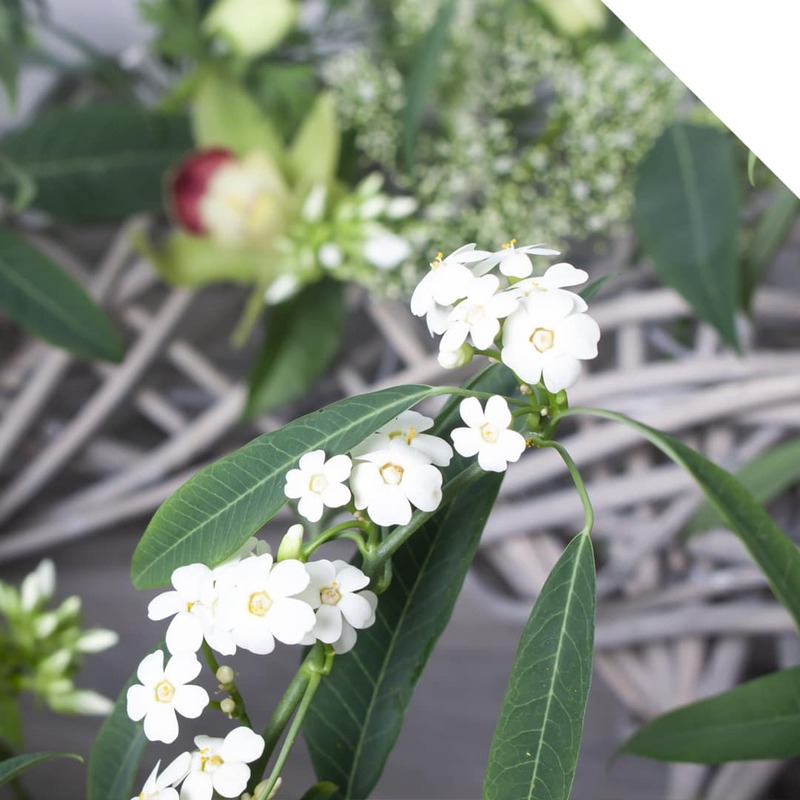 Euphorbia is sensitve for ethylene, so do not combine the flower with any type of ornamental fruit. Check the flowers when you receive them, inspect on damage. Cut the stems with a clean, sharp knife and hold the ends of the stem in boiling water for about ten seconds. This avoids that the stems start “bleeding”. Also, keep the flower away from any kind of (ornamental) fruit.